Where: St Alban’s Church Hall, Swinton Street, Splott. CF24 2NX. The best way to start Monday mornings! A wonderful supportive, open, inclusive Natural Voice community singing Group. 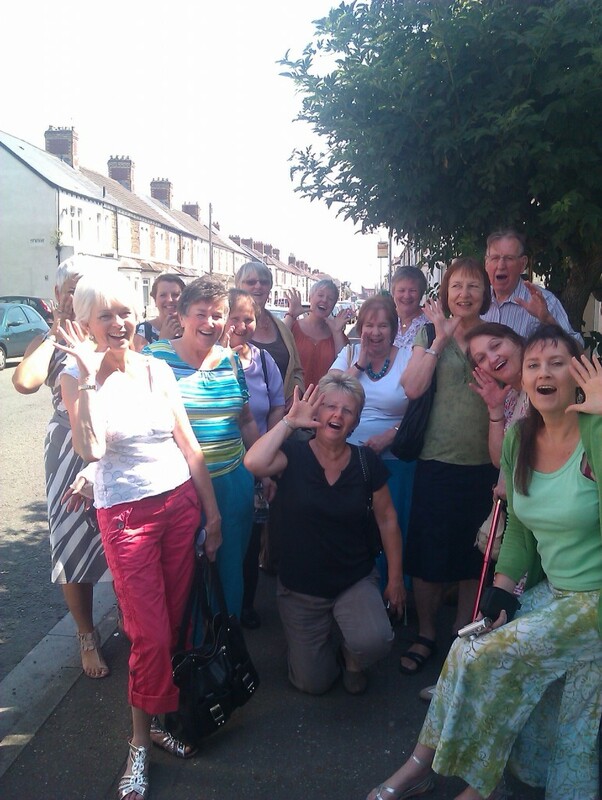 Every term time Monday morning between 10.00 and 12.00 a diverse bunch of songsters gather in Splott, East Cardiff, to sing together just for the sheer fun of it (there’s some coffee drinking and cake eating every week too!). This group continues to grow and change, and still has some of its original members from 19 years ago. Many people in this group have experienced a great boost in confidence and well-being. It’s great fun – a wonderfully inclusive, warm and welcoming bunch of people. Come and join in! We focus on enjoying the group sound, choosing whichever range our voice feels comfortable in, having fun with all sorts of wonderful songs and chants, in English, Welsh, Russian, Bulgarian, Georgian, various African languages, Finnish, French, Swedish, Romany, Pygmy and Czech….. but always in harmony. We sing some good old favourites too You do not need any previous experience or musical skill to join in, but if you have some, that’s great too, We learn by ear and sing in harmony. Words and recordings provided (and occasionally music if I’m bribed sufficiently). All ages and abilities welcome (our youngest is 18 months). Anyone welcome to come and try it out, see if you agree with the reports of increased confidence, feelings of well-being, stress-relief and increased social inclusion. Our informal (and optional) public appearances include care homes, asylum-seekers’ refuge and farmers’ markets! New members always welcome for a free taster. Here are some recordings from our sessions. They are intended as reminders of how the songs go and mementos from our glory years (!) rather than finished performances.